Serves Coffee Concert ticket-holders from 10:30 on the day. The famous King’s Arms is the oldest pub in Oxford, built in 1607 and still standing in its original position at the top of Holywell Street. It’s quite possibly the brainiest pub in Oxford too, known for having the highest IQ per square foot of anywhere in the world! 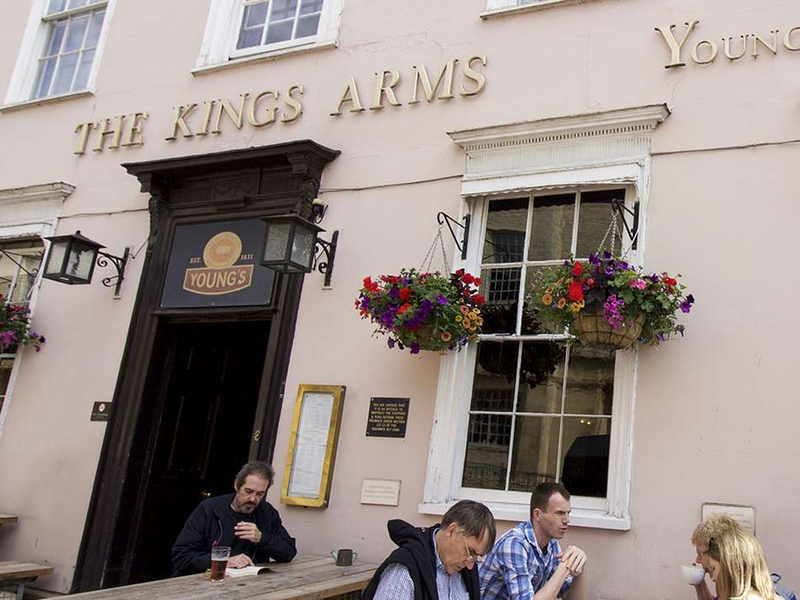 The King’s Arms is loved by Oxford scholars and tourists alike, and renowned for fine cask ales, hearty home made food and a resident ghost.